 Talking about Sant Joan d’Alacant is talking about its festivities. With the exception of November, every month of the year we celebrate some festivity. Many of our popular representations are of medieval origin. In recent years, festivities such as pilgrimages or music bands have been revitalized reinforcing our identity. The santjoaner character has also been forged with music, dances, songs, prayers, gastronomy or the Holy Week. All this rich intangible heritage is becoming an attractive revitalizing motor of the town’s tourist activity. La Paz Musical Society is among the most traditional musical institutions of the Valencian Community and its work has not only been bringing music to the hearts of the santjoaners, but also educating and teaching them how to play an instrument. The band proves that Sant Joan has a good musical tradition; since its foundation in 1871 it has always been part of our history. Two major educational projects stand out within the entity: the Maestro Climent Elementary School and the authorized Vila de Sant Joan Professional Centre of Music. Talking about ‘pilota’, is talking about tradition, sport and culture, which in Sant Joan d’Alacant is perfectly maintained by the Benimagrell Pilota Club. All members of the club preserve it by doing sport and passing on our culture to family and neighbours, not only to the Benimagrell neighbourhood but also to different regions of Europe. Making a historical journey, Valencian pilota has always been very connected to our town, through very tenacious people. The typical gastronomy of Sant Joan d’Alacant is based on the products of the Horta (Cropland) d’Alacant. During the eighteenth century the agricultural exploitation was focused mainly on wine production, the fondilló, which was without discussion the main harvest of the L’Alacantí region. In traditional cuisine rice is the protagonist in almost all the dishes emphasizing rice ‘a la alicantina’ (Alacant style), the rice with onion and among the vegetables recipes, the ‘olleta’. The ‘putxero amb tarongetes’ is still the dish for the important celebrations. During the eighteenth and nineteenth centuries the oligarchy from Alacant included nobles, the military and the clergy. At that time the ways of filling the free time became a sign of social distinction. This situation let to wealthy families of the incipient bourgeoisie to seek a recognition that equated them to the status of traditional nobility. That is why the upper classes acquired the best properties of the Horta (Cropland) d’Alacant, showing their power and wealth before the society of the time.